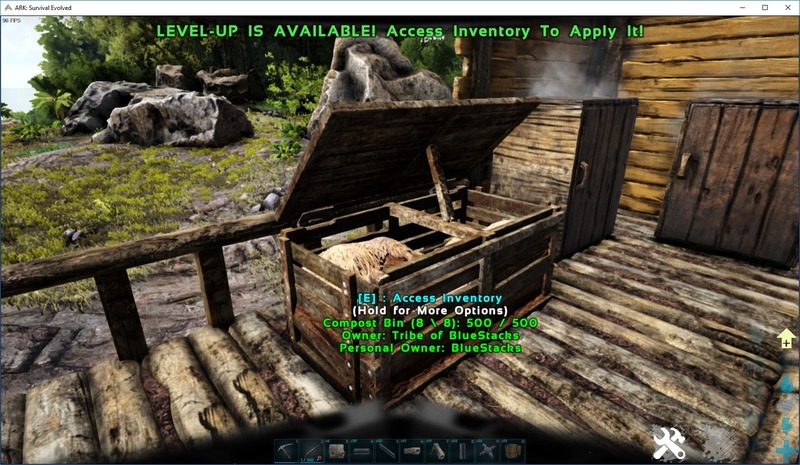 DISCLAIMER: ARK: Survival Evolved is not available on BlueStacks just yet. 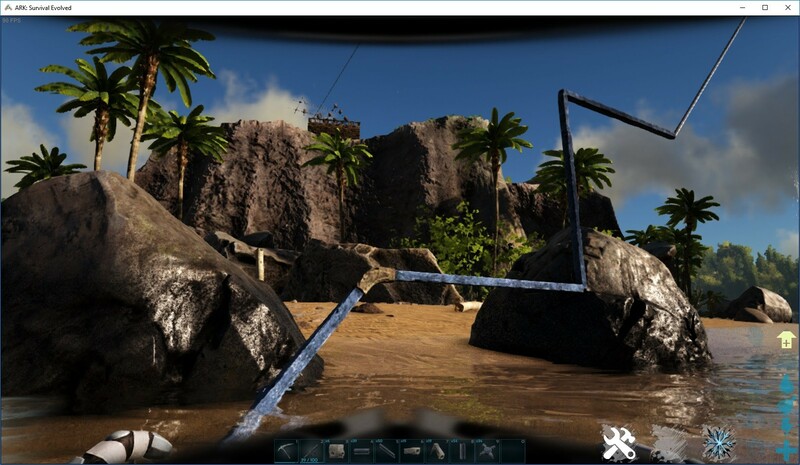 The screenshots shown in this article were taken using the PC version, in Creative Mode, for illustrative purposes. However, we are working very hard to get this game to you, soon! 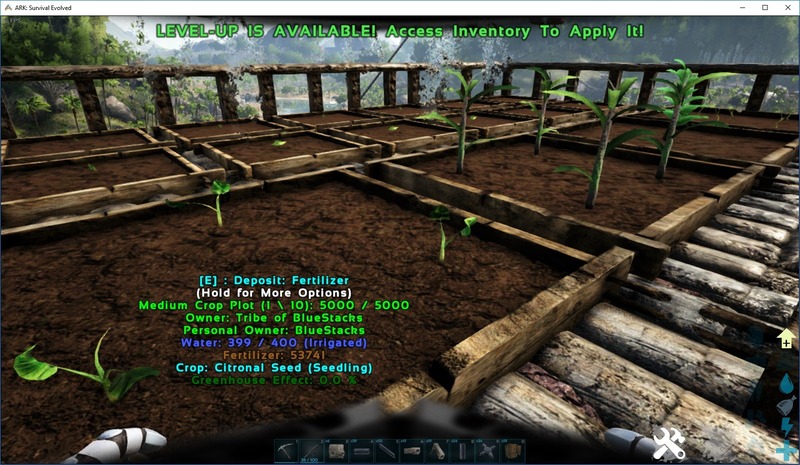 Farming in ARK is an essential skill that every survivor should strive to acquire. 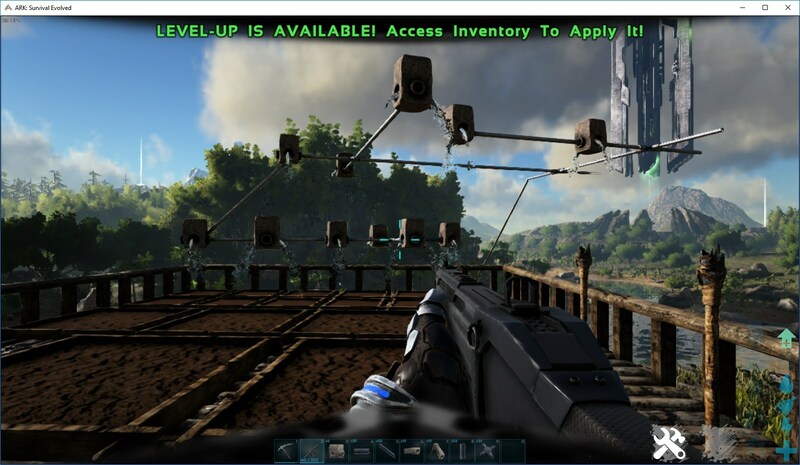 By learning how to work the land, you will not only have a readily available source of food at all times, but you will also have access to some of the most important ingredients for use in cooking pot recipes, most of which are quintessential for effectively taming high-level dinosaurs. However, farming in this game is not as straightforward as you may imagine. In this guide, we will explain how to set up your first farm. By placing a water intake pipe on a nearby source of water, and using basic metal pipes to connect it to your house, you can essentially create a system that can provide unlimited amount of water, which can be used for drinking without having to go all the way to the ocean or river, or for irrigating crops remotely, like shown in the screenshots below. You’ll have to excuse the absolute abomination of piping we created there. However, while it does look positively awful, it gets the job done, and will serve to illustrate how a basic irrigation system works. By putting a bit more thought into the design of your farm, you can create your own watering system with more visual appeal than our own. Once you set up your watering system all the way to your base, you’ll need to create some taps (the parts where water comes out from) and construct a few crop plots to check that they’re being properly irrigated. You can do this simply by placing a few plots beneath the taps and standing close to them to check if they are receiving enough water. If you did it right, you’ll see that your crop plot says “irrigated” in blue letters, upon inspection. Alright, now that you have a watering system, all you need to do is create some crop plots (you’ll need to learn the engram first), and then secure some berries and veggies to sow. However, before planting some crops, you’ll first need some nitrogen to ensure their proper growth. You can find nitrogen in dino poop, or even your own poop. At first, you can simply put these droppings into the crop plot itself alongside the berries and veggies, and they will begin to grow. However, this is not the most efficient way to fertilize your crops. The best way to do this is by mixing dino poop with thatch inside a compost bin and waiting for the mix to turn into fertilizer, which is a much better alternative to using poop in order to promote plant growth. With fertilizer in hand, you’re now ready to sow some seeds. You can find berry seeds simply by foraging. Every time you pick some berries from a nearby plant, there’s a small chance that you will receive a random seed. 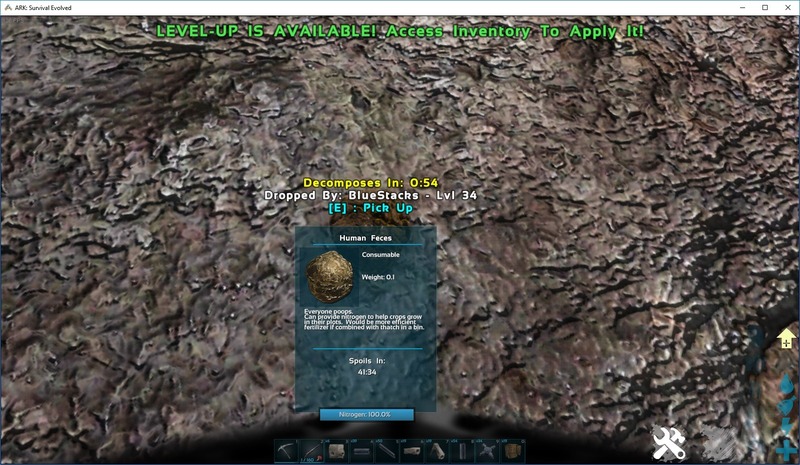 Furthermore, by using a dino to forage faster, such as a Trike, you can obtain seeds rather easily. Nevertheless, it shouldn’t take you too much time to find something to sow. Once you do, head over to your farm, drop the seeds in a crop plot, as well as a bag of fertilizer, and you’re set. That’s all there is to farming. Sure, reaping the fruits of your labor, just like in real life, will take some time. Depending on the type of plant you’re growing, it may take a few in-game days for them to grow and begin to give fruit, so be patient! Small Crop Plots: You can grow berry plants in any crop plot. However, the small crop plot is only large enough to accommodate berries. Medium Crop Plot: The vegetable plants, such as Rockarrot, Savoroot, Longrass, and Citronal plants can only be grown in medium or larger crop plots. Large Crop Plot: You can grow the awesome Plant Species X here, which, when fully grown can throw deadly venom barbs at any unwelcome intruder that gets too close to your base uninvited. These plants don’t require water, but they need plenty of fertilizer in order to work. We’ll talk about them in further detail in another article. 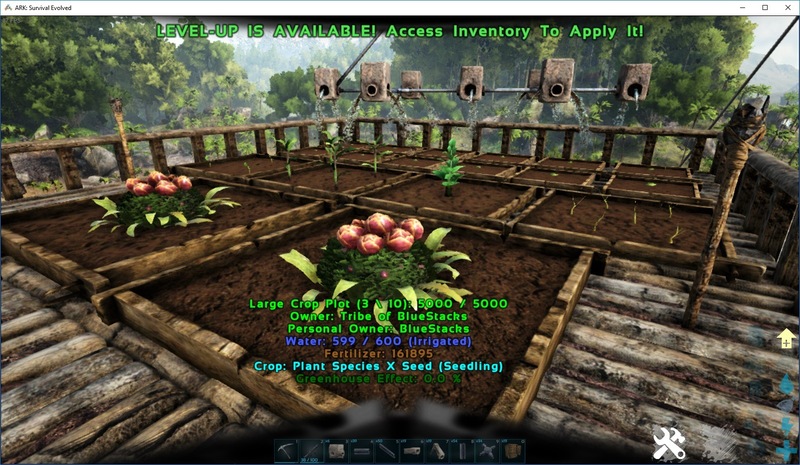 When it comes to farming in ARK, you’ll want to plant seeds not only to have food readily available — that’s what hunting and preserving bins are for —, but you will need to farm to grow fruits and vegetables that will be used in cooking pot recipes. 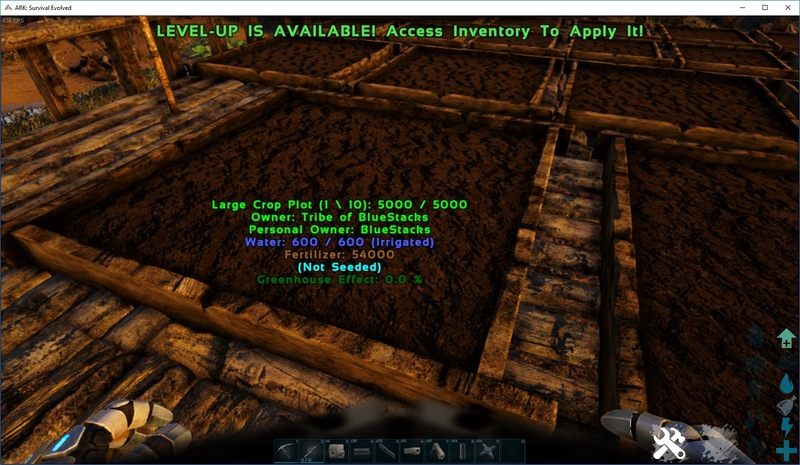 These materials are necessary to cook the highly-coveted Kibbles, which are the best types of food for taming any dinosaur, and are made from a combination of water, berries, dino eggs, and thatch. With Kibbles, you can tame any dino at a faster rate, and with a better taming effectiveness, allowing you to receive a dino with better level and stats after the taming process is complete. You can read more about the taming process in our Guide about How to Tame a Dinosaur in ARK Survival Evolved. 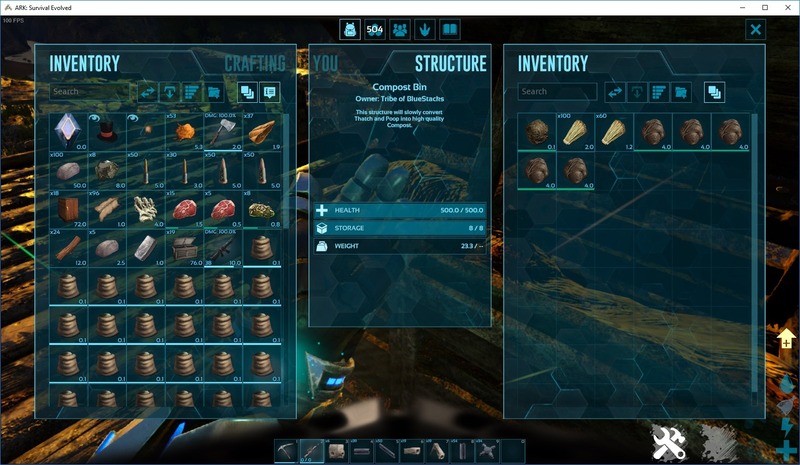 That’s all there is farming in ARK: Survival Evolved. Of course, your mileage may vary depending on the location you chose for your base since you’ll likely need tubing and pipes in more or less supply if your base is farther or closer from a body of water, respectively. Nevertheless, once you secure a water supply, the experience is exactly the same each time.